The result of a five-year-long EU project, the world’s fastest Air Supported Vessel (ASV), fully powered by lithium-ion battery energy storage system (BESS), has been launched at Latitude Yachts in Riga, Latvia. The new first of its kind vessel BB Green operates at a speed of 30 knots (56km/h) and holds up to 70 passengers plus bikes. It will initially be used for demonstration purposes across Europe. The ASV technology reduces water resistance by having the ship operate on an air cushion. A battery powered fan in the bow injects pressurized air into a cavity under the ship and supports some 80 percent of the vessel’s displacement. The resistance is reduced by 40 percent at high speed, which makes it possible for the 25-ton ship to reach a speed of 30 knots propelled by 2 x 280 kW electric motors. 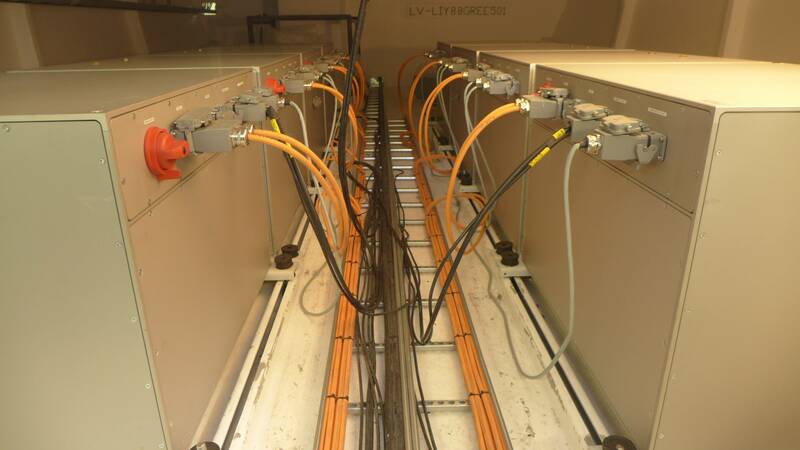 BB Green includes a 200 kWh LTO energy storage system enabling it to operate at high speed for over 30 minutes with a 14 nautical mile (26 km) range. At each stop, it benefits from fast charging for 15-20 minutes. This makes BB Green the “the world’s fastest electric commuter vessel” – suited for commuting on inland waterways from outer suburbs to the city center. BB Green is the result of a European project which involved eight main partners: SES Europe / Effect Ships International, Norway (hull technology and design); Latitude Yachts, Latvia (construction); Echandia Marine, Sweden (system integration); Leclanché, Switzerland (energy storage systems); SSPA, Sweden (tank testing and documentation); Lloyd’s Register (safety and classification); Diab, Sweden (composite material and engineering) and Aqualiner, the Netherlands (end user partner). 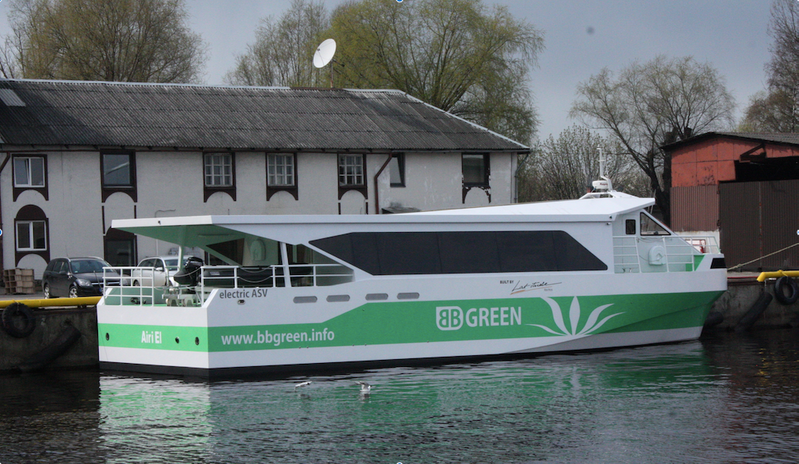 BB Green is owned by SES Europe together with Green City Ferries, who will operate the ship on its maiden voyage, a “road show” from Riga to Stockholm, through the canal to Gothenburg and then on to Oslo.